The paint or lacquer coating on your car may become cracked or stained if the metalwork has been damaged somehow. Sometimes, you may repair a small dent and think the paintwork is okay, but then over time, the paintwork will start to crack or become stained. Such areas generally need to have the paint removed and resprayed. Vehicles that spend years of their lives out in the sun and rain will naturally experience wear and tear. Rust can form in damp areas and the sun can cause paintwork to fade if it is particularly strong. Dealing with this means buffing the area and respraying. However, if the rust is bad, then the area affected might need to be cut out and replaced. Your car will have cracked body parts if it has been in a more major collision. Common areas to crack include the bumper, grill, fenders and wheel well. Oftentimes, the best and cheapest way to deal with this is to have the cracked parts replaced altogether. As a result of major collisions, we often find that the frame of the car has become bent or twisted in some way. This is incredibly dangerous and will require proper fixing at the same time the car’s body is mended. Never attempt to drive a vehicle that has a bent frame. 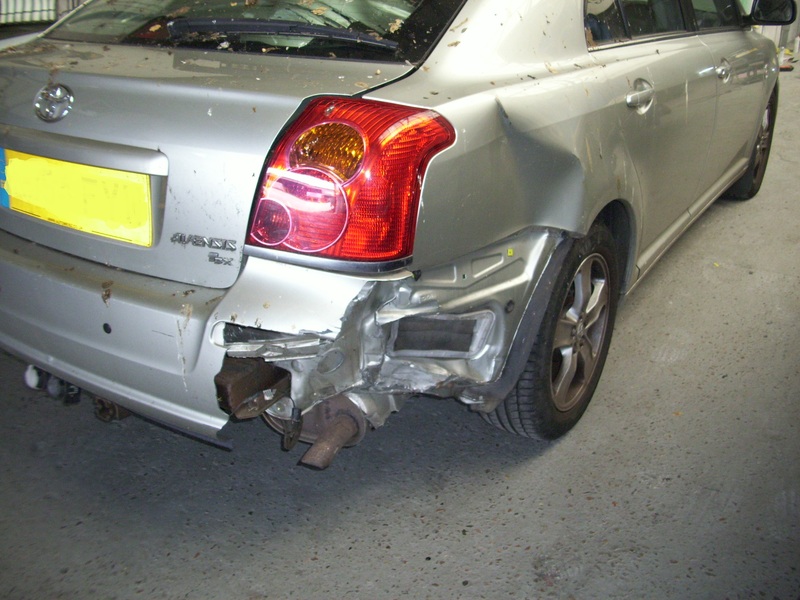 Even if you have experience mending cars, it is often best to seek professional help when dealing with car body damage. This is particularly true if your car has experienced cracked body parts or a bent frame. More importantly, a specialist can advise on the most cost-effective way of fixing your vehicle. For example, their specialist equipment might allow them to remove minor dents without the need to repaint the area. If you'd like to find out how much it would cost to fix your car's damage, contact us today on 02070419680 and request a free quote.